Conveniently located at the intersection of Highway 23 South and 62 East, near antique malls, gift shops, restaurants, shows, and more. 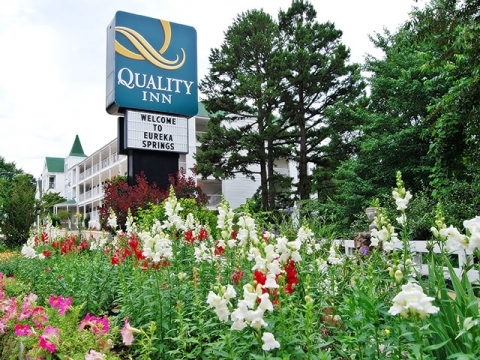 Our spacious, clean and comfortable quality accommodations include your choice of Queen beds, King beds, luxurious Jacuzzi suites, and a secluded cottage. 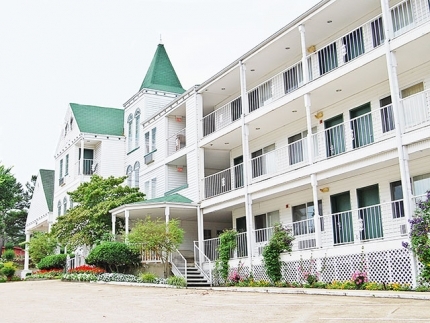 Whether you are looking for a solitary retreat, a romantic getaway, or planning an event for your group, Quality Inn of Eureka Springs has the perfect lodging choices for you. Make your reservations today! Come stay with us and treat yourself to our wonderful famous breakfast which includes homemade quiche, breads, hot Belgian waffles and more! 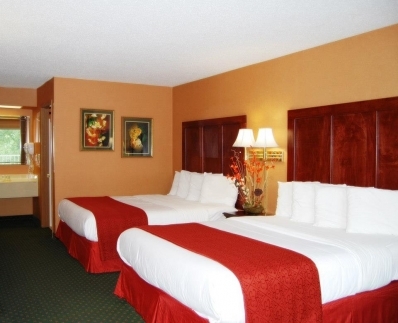 When it comes to those "added touches" the Quality Inn of Eureka Springs has them all! Begin your day with our unique breakfast. We offer hot-out-of-the-oven homemade quiche, pecan coffee cake, fresh hot Belgian waffles and more. Quite a great way to start your day! Feeling a bit stressed? Try our on-site massage therapy offering full-body massage, Craniosacral therapy, as well as facials. Relax . . . and enjoy. 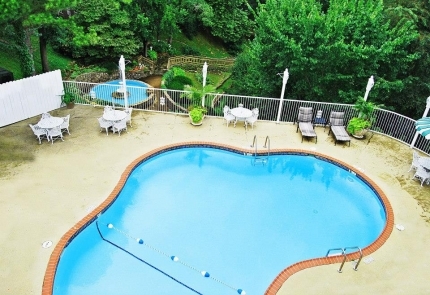 Take a relaxing stroll through our gardens or take a dip in our solar heated pool. If you are a AAA member, we will offer you a 10% discount. Our toll free reservation number: 1-800-828-0109. Travelers 50 plus will receive a 10% discount!